In this ongoing series of studies by STWR’s founder, Mohammed Mesbahi investigates the meaning and significance of the principle of sharing from spiritual and psychological as well as social, economic and political perspectives. A full list of articles, interviews and books by Mohammed Mesbahi can be accessed here. 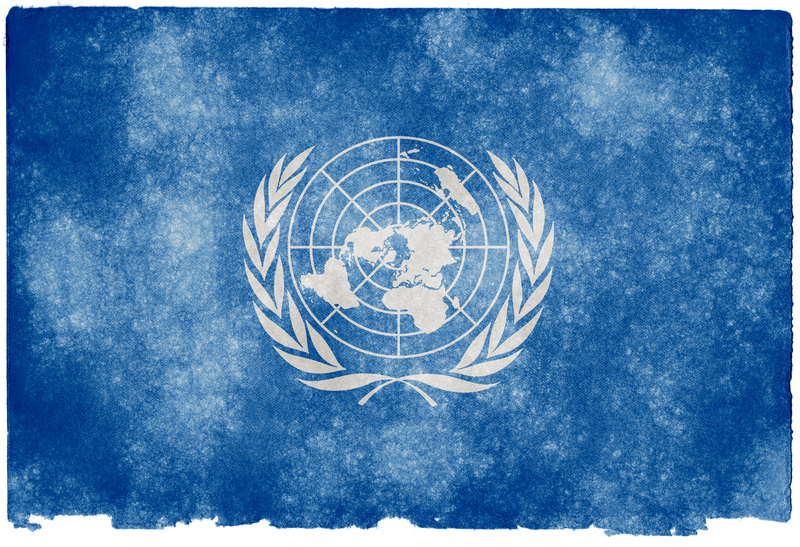 A truly universal and unconditional basic income is ultimately feasible within each nation, coordinated under the auspices of the United Nations. Yet this will initially depend on an unparalleled degree of public support for the cause of ending hunger and needless deprivation, based on a fairer sharing of the world’s resources. That is the only path for a basic income policy to uphold the fundamental human rights of all—a path that inherently says: ‘above all nations is humanity’. Also available in German and Japanese. We are unable to seriously envision a new economic paradigm for managing the earth’s shared resources, unless we first contemplate the need for a psychosocial transformation in consciousness, whereby the awareness of the average person is expanded to embrace the common good of humanity as a whole. For humanity is also an integral part of the commons in planetary and spiritual terms—meaning that people dying from hunger in a world of plenty is one of the grossest exemplifications that our commons is being tragically desecrated. The true sharing economy represents the end of the old ways defined by the pursuit of profit and competitive self-interest, while a new age of intergovernmental sharing and cooperation can only begin through the channel of ending hunger in a world that has such an abundance of financial capital and available resources. That is where the spiritual and transformative vision of sharing is to be found, with far-reaching implications beyond what most of us can presently imagine. Also available in German, Japanese and Spanish. The following interview with STWR’s founder, Mohammed Mesbahi, examines both the contemporary political and profounder spiritual implications of sharing the world’s resources in relation to the escalating climate emergency. Altogether, this wide-ranging discussion acts as an introduction to Mesbahi’s pioneering vision of mass civic engagement towards a fairer, balanced and inherently sustainable distribution of world resources. After so many years of political inaction only the massed goodwill of ordinary people can bring about an end to poverty in a world of plenty through enormous and continual protests across all countries. So let’s take the path of least resistance and jointly herald the long-agreed human rights of Article 25—for adequate food, housing, healthcare and social security for all—knowing that this is the surest route for impelling our governments to redistribute resources and restructure the global economy. Also available in German, Japanese, Slovenian and Spanish. Also available in German, Italian, Japanese, Slovenian, and Spanish. Uniting the people of goodwill throughout the world is our last remaining hope for social transformation on a planetary scale. A vast bulk of humanity has to come together on the basis of sharing, compassion and justice – which can and must be achieved with the greatest possible urgency. Also available in German, Italian, Japanese, Slovenian and Spanish. We cannot talk about the importance of sharing without at the same time perceiving the dangerous, socially divisive and destructive effects on humanity of rampant commercialisation. As long as we live in a society that is blindly guided by market forces, the principle of sharing will always be eclipsed. Also available in French, German, Italian, Japanese, Slovenian and Spanish. You and I constitute the very system that we blame for the world’s problems, which is starkly illustrated at Christmas when we rob our fragile earth on the high streets in the name of Jesus. What better way to celebrate the birth of Christ this year than to unite under the banner of freedom and justice, and peacefully demonstrate for an end to hunger and poverty across the world. Also available in German, Italian, Japanese and Slovenian. If we are concerned about stopping the enduring crime of starvation amidst plenty, we cannot restrict our actions to the level of our own country or community. We should rather think about sharing food in global terms and, above all, in relation to the politics of ending hunger.